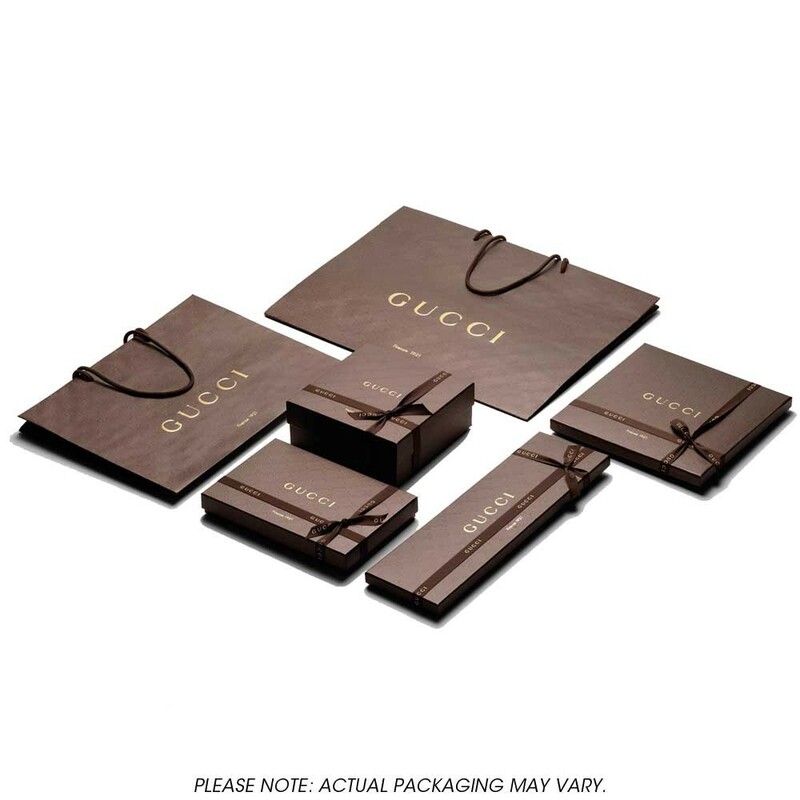 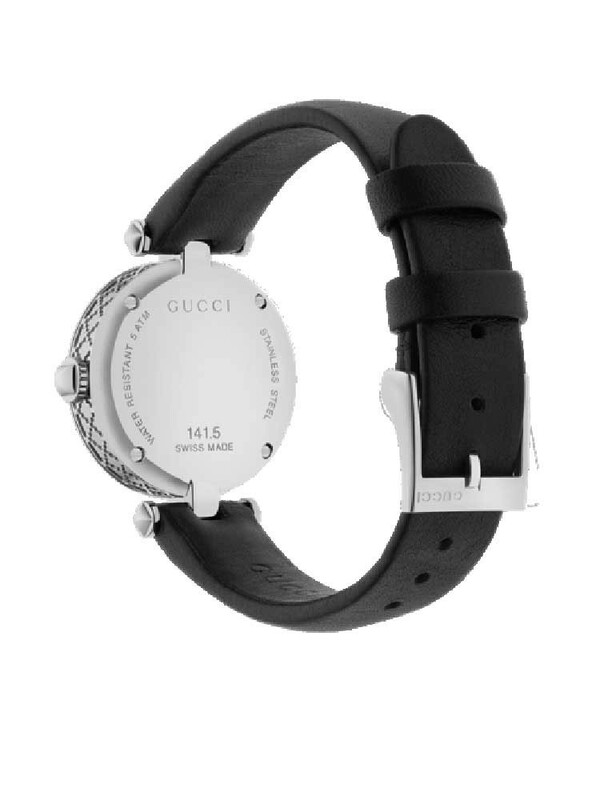 A stunning combination of contemporary minimalist design and expert Swiss craftsmanship with iconic Gucci Diamantissima detailing. 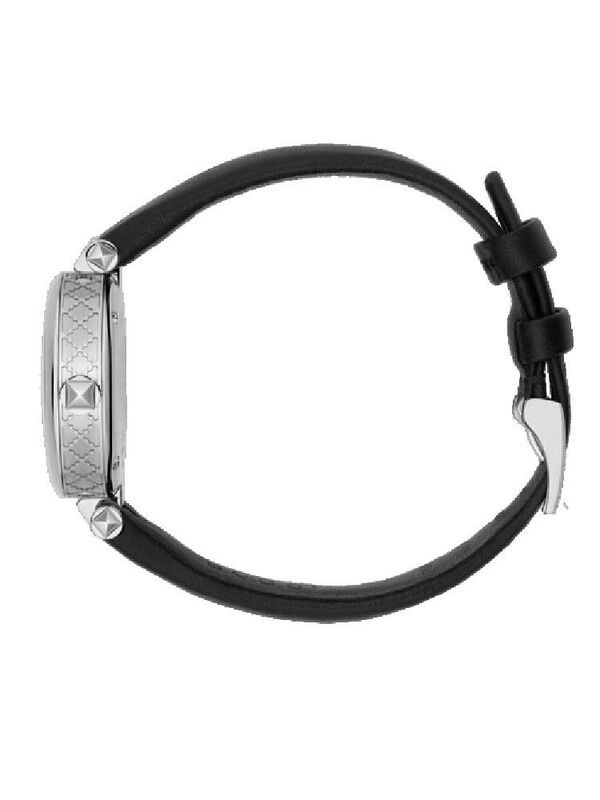 The alluring black and silver tone design will pair wonderfully with any outfit it adorns. 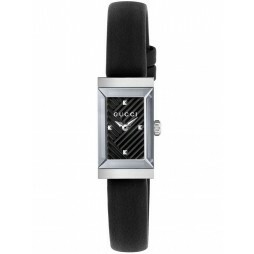 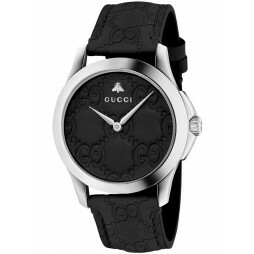 Featuring a round black dial with slender feminine hands and studded pyramid hour markers. 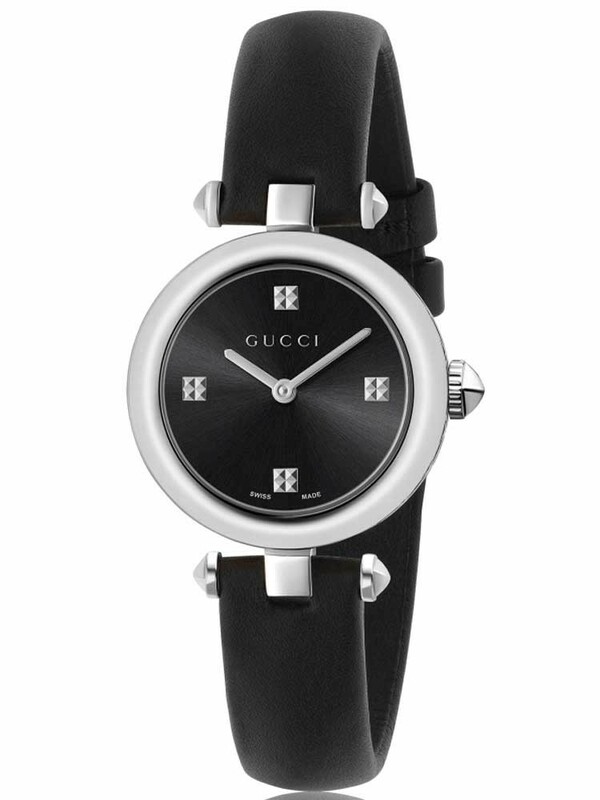 Finished with an attractive T-bar design, comfortable black leather strap and traditional buckle closure, it makes an ideal timepiece for any occasion.